The goal of this mini-workshop is to discuss the availability and performance of community modeling codes for coupling geodynamics and surface processes. The workshop is motivated by the recent formation of the Geodynamics Focus Research Group within the Community Surface Dynamic Modeling System (CSDMS), which is co-sponsored by GeoPRISMS. The Geodynamics FRG was formed with the aim of understanding the interplay between climatic, geomorphic, and geological/tectonic processes in governing Earth surface processes and landscape evolution. A primary goal of the Geodynamics FRG is to move toward an integrated-coupled modeling suite that has the capability to account for paleo-topography, geology, substrate lithology, crustal deformation, climate, vegetation, runoff production, and ensuing sediment transport and storage. 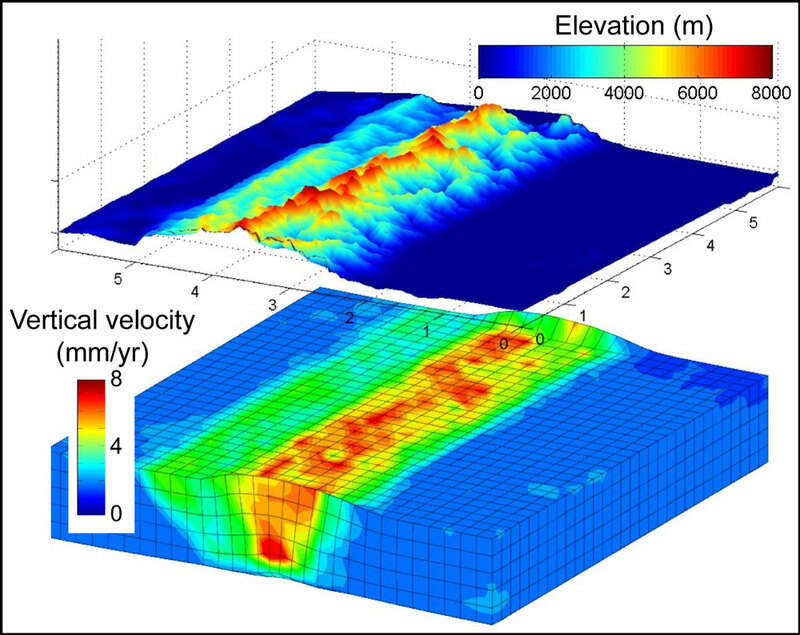 (4) discussing how to build on these existing codes to develop a robust coupled geodynamic-landscape evolution model(s) within the CSDMS framework. To facilitate these discussions we have invited 3 speakers to give short presentations on various aspects of community codes and problems in coupling tectonics and landscape evolution. However, the majority of the workshop will be set aside for open discussion on how best to build, benchmark, and disseminate a coupled community model. “Exploring the Interplay between Solid Earth Tectonics and Surface Processes using Community Codes”, Upton, P., Behn, M., Jaeger, J.; GeoPRISMS Newsletter, Issue No. 32, Spring 2014. 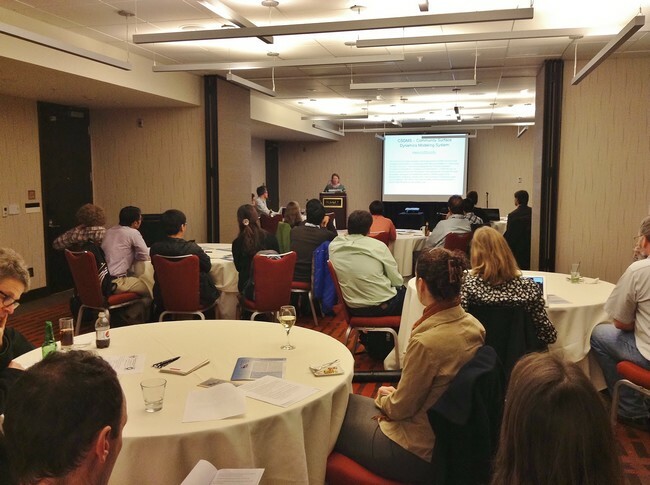 About 30 scientists with a wide range of interests spanning field-based to modeling studies, spent the Wednesday night of AGU at the Grand Hyatt San Francisco exploring the interplay between solid Earth tectonics and surface processes with an emphasis on using community codes. The workshop was associated with AGU sessions EP33B and EP43E/44A, sponsored by GeoPRISMS, and supported by the Community Surface Dynamics Modelling System (CSDMS).